Sparkle from the inside out! Fun, sassy and sporty-chic, these bags are a must-have accessory for anyone looking to show off their sparkle! 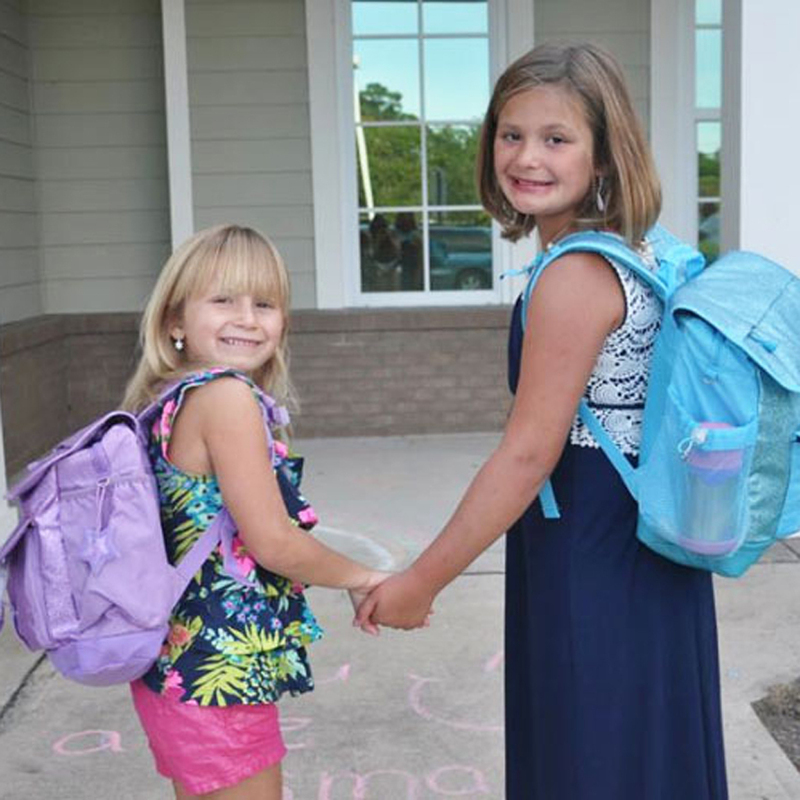 Perfect for school, sport or sleep over fun, these fab bags will dazzle, shimmer and shine through day and night. Each with a star sparkle charm! 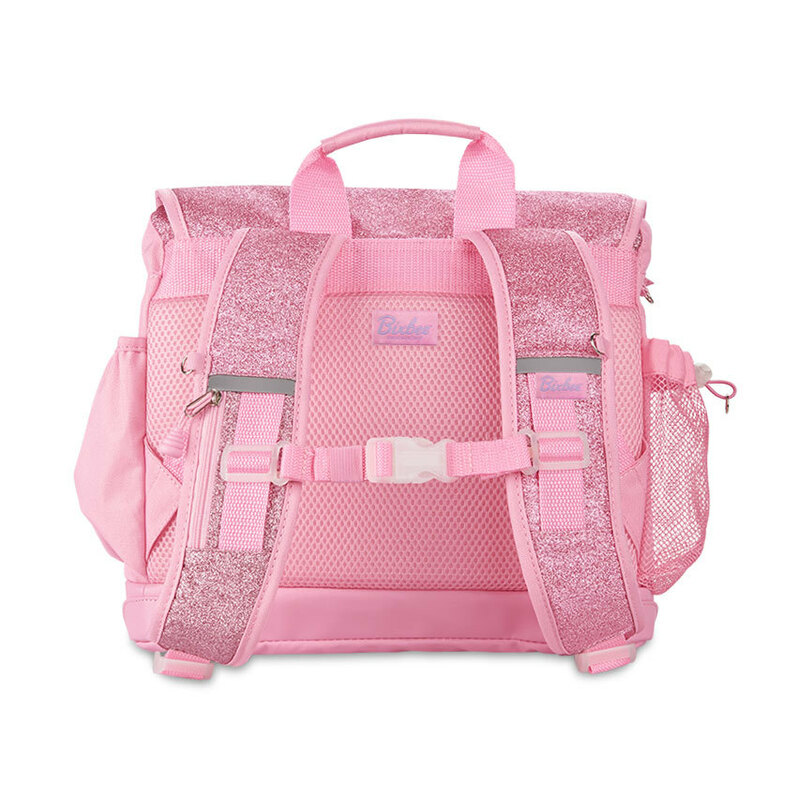 Perfectly sized to carry everything your tyke needs, this backpack features a patented horizontal design with ergonomic attributes. The cover flap pocket opens to a main compartment with plenty of space for books, binders and notebooks. A padded sleeve pocket protects a laptop or tablet. 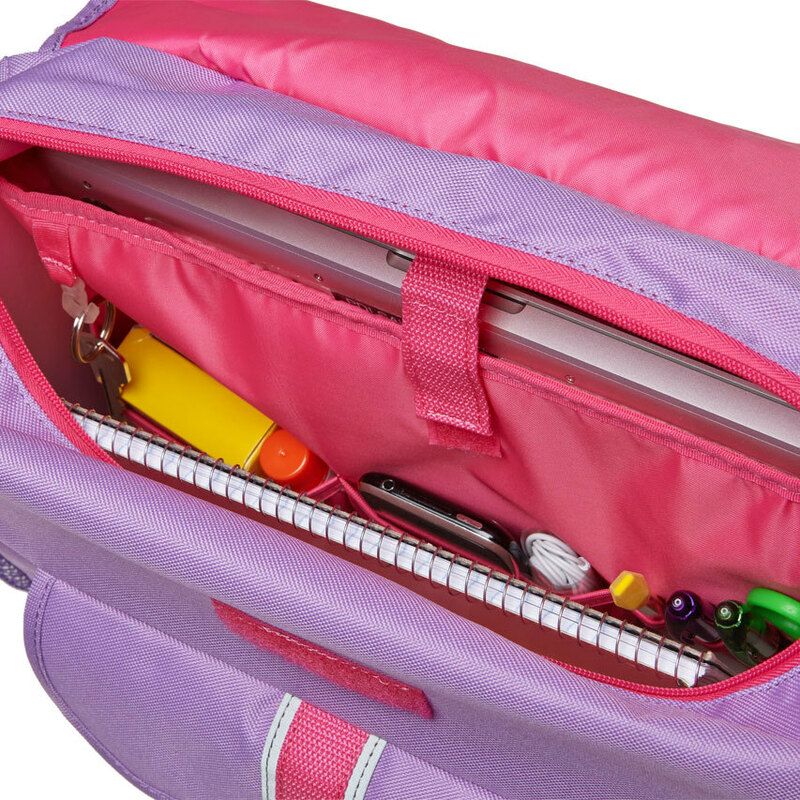 Three interior organizer pockets hold small necessities like pencils, pens, crayons and an mp3 player. 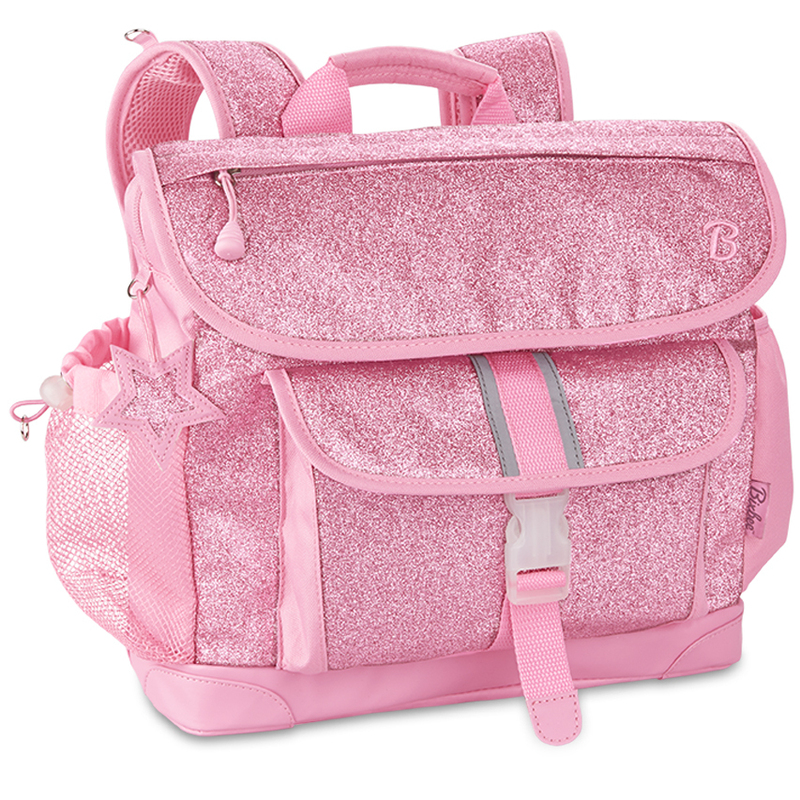 Even when it’s packed to the brim, this backpack feels comfortable on kid shoulders, thanks to contoured shoulder straps with cushy padding. 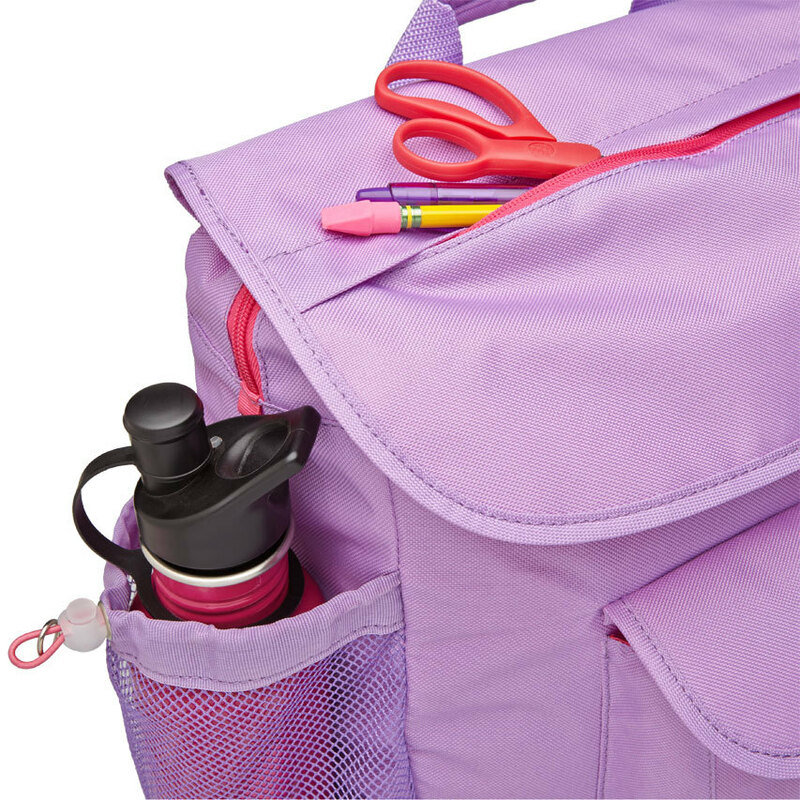 Five exterior pockets (including a lunch money pocket and water bottle holder) plus an ID holder helps you stay organized. Made of durable, water-resistant 600-denier polyester, this backpack is made to last and cool-looking, too. • Main compartment features a padded sleeve for a tablet. 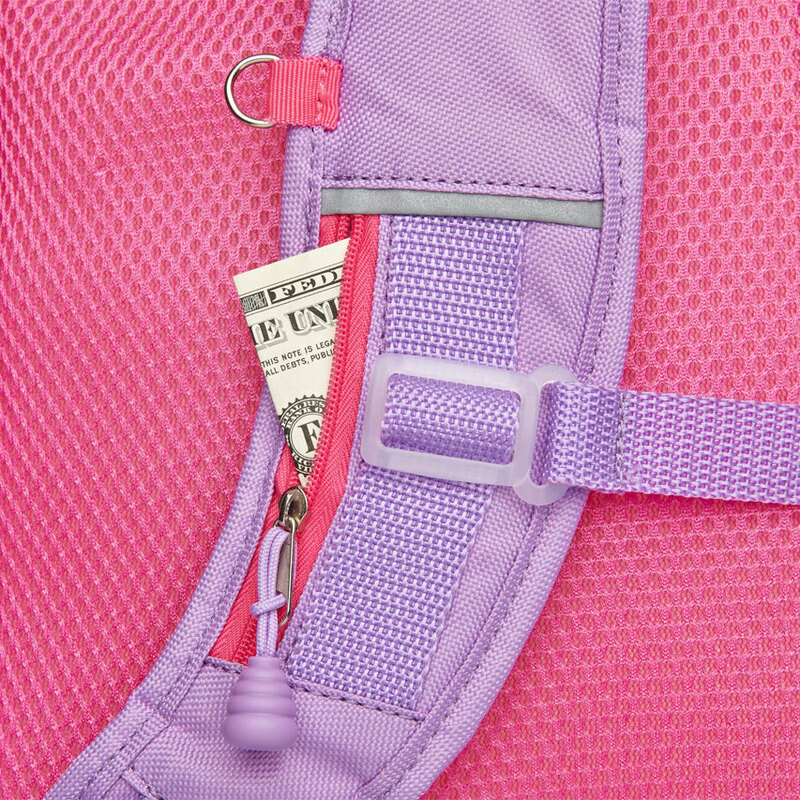 – Right shoulder strap has a lunch money pocket. • Exterior mesh & solid side pockets.